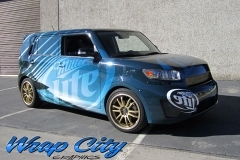 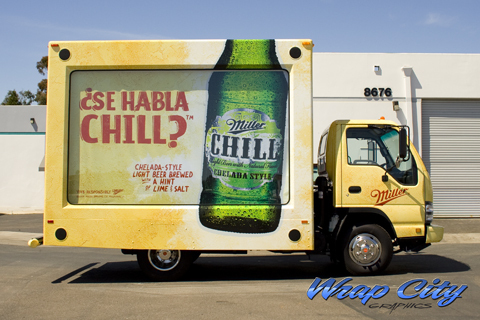 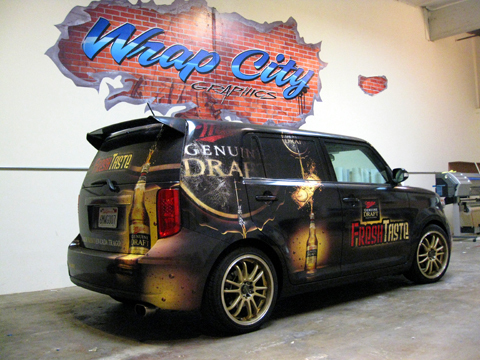 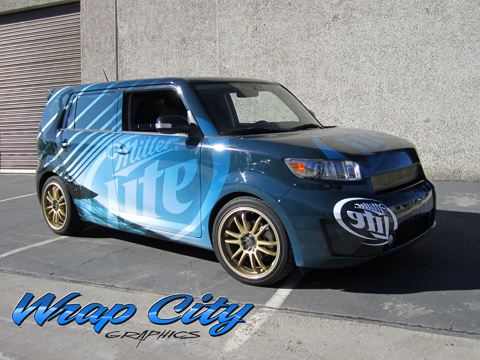 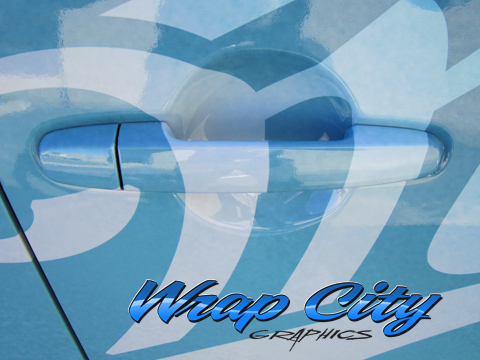 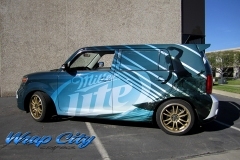 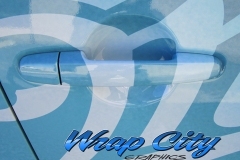 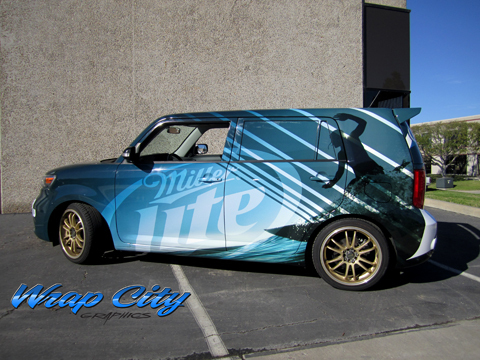 Miller came to us with another Scion wrap to add to their fleet. 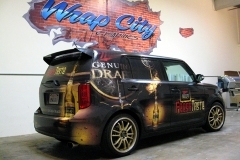 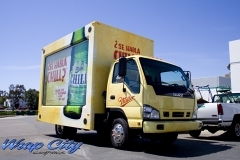 This car is a mobile DJ booth for events. 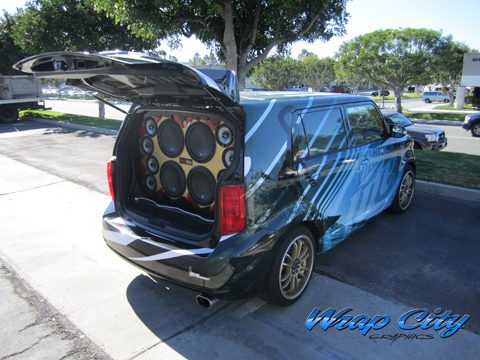 The rear hatch is packing four twelve inch JBL Sub woofers and a whole lot of ampage.